Fall is my Favorite season in Louisiana. The weather actually cools down.... a little, football is in full swing, and of course, the fishing. 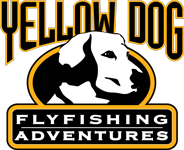 Fall in Louisiana for the fly fisherman is a special time. Big, aggressive Bull red fish start showing up in larger numbers and conditions become more predictable. These reds are hungry and reckless, they'll happily crush a variety of flies and present different situations to anglers. From floating groups of big fish to tailing and backing bulls in shallow water, when you're here to witness it, its is one of the more adrenaline inducing sights for an angler. Fall is also a time where everyone wants to come down and fish our waters. If you're still waiting to book, or thinking about it, don't delay. Dates are filling up rapidly, give me a call or email and lets get on the water!